The paper, “Urbanization Increases Pathogen Pressure on Feral and Managed Honey Bees,” was published Nov. 4 in the journal PLOS ONE. The co-lead authors of the paper are Elsa Youngsteadt, an entomology research associate at NC State, and Holden Appler, a former graduate student at NC State. The paper was co-authored by Margarita López-Uribe, a postdoctoral researcher at NC State. The work was supported by Agriculture and Food Research Initiative grant number 2013-02476 from the U.S. Department of Agriculture’s National Institute of Food and Agriculture; the North Carolina Department of Agriculture and Consumer Services; a Dean’s Enrichment Grant from the NC State College of Agriculture and Life Sciences; a gift from the North Carolina State Beekeepers Association; and by the Department of the Interior’s Southeast Climate Science Center, under cooperative agreement numbers G11AC20471 and G13AC00405. The center is based at NC State and provides scientific information to help land managers respond effectively to climate change. Abstract: Given the role of infectious disease in global pollinator decline, there is a need to understand factors that shape pathogen susceptibility and transmission in bees. Here we ask how urbanization affects the immune response and pathogen load of feral and managed colonies of honey bees (Apis mellifera Linnaeus), the predominant economically important pollinator worldwide. Using quantitative real-time PCR, we measured expression of 4 immune genes and relative abundance of 10 honey bee pathogens. We also measured worker survival in a laboratory bioassay. We found that pathogen pressure on honey bees increased with urbanization and management, and the probability of worker survival declined 3-fold along our urbanization gradient. The effect of management on pathogens appears to be mediated by immunity, with feral bees expressing immune genes at nearly twice the levels of managed bees following an immune challenge. The effect of urbanization, however, was not linked with immunity; instead, urbanization may favor viability and transmission of some disease agents. Feral colonies, with lower disease burdens and stronger immune responses, may illuminate ways to improve honey bee management. 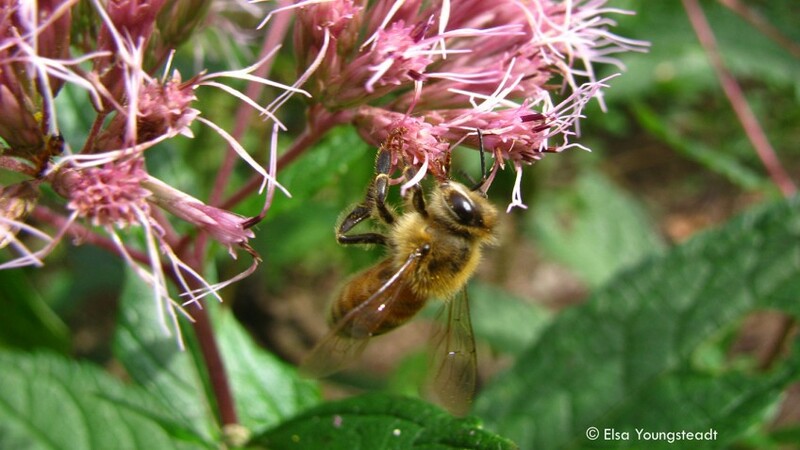 The previously unexamined effects of urbanization on honey-bee disease are concerning, suggesting that urban areas may favor problematic diseases of pollinators.